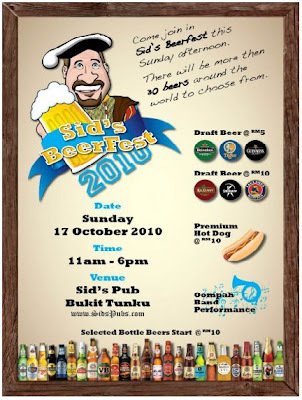 It was a lovely Sunday afternoon at Sid's Beerfest! 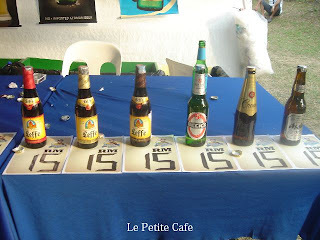 Heineken, Tiger & Guinness for RM5! It was served in the plastic cup. But I went for Paulaner! Strongbow and Killkenny were also RM10. 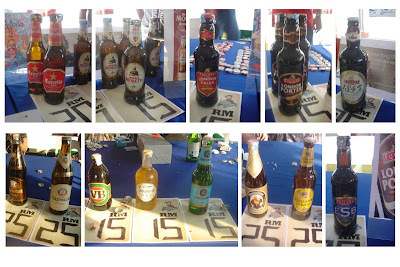 There were also a lot of imported beer on sales in bottles. Priced between RM15 and RM25. The venue was actually at the garden in front of the pub. It was such a laid back event. Everyone was really chilling out, drinking beers - everything else does not matter on that afternoon. One of the best events for me. Love it! Thanks Sid's Pub. Cheers!